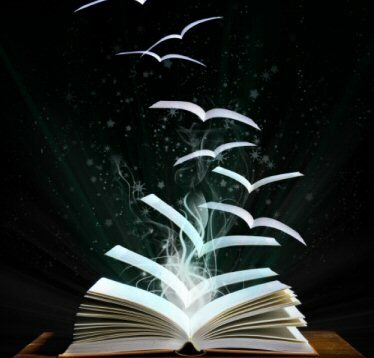 The Ænigma Project is a discussion group focused on the realm of the supernatural, paranormal and mysterious events that sometimes take place in our lives. Through multiple view points and experiences, we seek to enlighten our listeners and elucidate that which has become hidden beneath the many layers of misunderstanding and fear. Join Paul Cagle and his co-hosts Sushi and Springwolf as we share our research, knowledge, insight and humor of the spiritual and paranormal. Be part of the Ænigmite Crew and play “Truth or Tale”, see if you can tell the stories that are real, from those that are made up. And find out what the latest strange or paranormal is being talked about for the week as we discuss the “News of the Day”. Tune in tonight for our LIVE broadcast. The radio link on our ListenLIVE page will update for tonight’s show as soon as we go LIVE. You will see the Listen bar change and update for tonight’s scheduled topic. This is your queue to tune in, sit back and enjoy our discussion. To get into the chat room, scroll down below the radio Listen Bar and you’ll find our new chat room. You can join in the chat to share your perspective on our topic or ask questions for the panel to contemplate and address. You can also sit outside the room and simply watch the discussion. No need to sign-in if you don’t want to. Our chat room regulars are always posting pictures, sharing some laughs and even having thoughtful discussions on their own. There is a slight difference between Astral Projection, Out of Body Experiences and Near Death Experiences. It’s a small difference, but an important one. TV, movies and books toss these labels and around often. And it confuses some people about the mechanics of spiritual travel. Tonight we’ll talk about the differences between these various forms of travel, what part of you that actual makes the trip and if it’s possible to will these travels to happen. We’ll also talk about why the journeys occur and what can be learned from them. Along with some stories from folks who have actually experienced these trips, what they saw and how it changed their lives. Join us and find out what we’ve discovered about this topic. And come visit with us in our Ænigma Project chat room to share your views. We might even learn something from you! If you have a question about our scheduled topic, or anything paranormal, send a message to Paul@aenigmaproject.com, or leave a message for anyone of us on Facebook. Come share them with us in our chat room with the other Ænigmites! As we delve into the mysteries of our world.This is the image we discussed about the trailing blue light. You never know what we may end up talking about. Current events, new discoveries, or connections between quantum mechanics and age-old spiritual knowledge that has explained the Universe for eons. What might we learn from each other, and from our Ænigmites guests in the show’s chat room? There are many other ways you can listen on the go, at home, at work or in your car. Our show is now hosted by Spreaker. 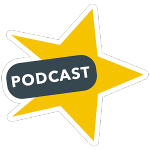 Check out the Spreaker Podcast Radio app for your phone or tablet for IOS, Android and Windows (scroll to the bottom of their page to find links to the app). On the app, like our show and you’ll receive reminders and be able to listen to us where ever you are. We’re on Twitter, Facebook and many PodCast services such as iTunes and Stitcher. You can visit our show webpage and find even more ways to contact us on the show! Send your questions for the show or upcoming topic, make topic suggestions for a new show or simply let us know how you liked the show present or past! If you miss the show, you can listen to previous shows on the The Ænigma Project blog and find more links to iTunes and Stitcher. Show off your Ænigma Project Pride! 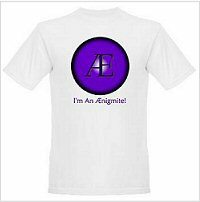 Visit the Ænigma Project Fan Store at CafePress! We have Cups, mugs, t-shirts, hoodies, mouse pads, and more! We have two designs so far, “The Ænigma Project” and “I’m An Ænigmite!” Fan Pride!